Iceland is a veritable paradise for the salmon fisherman. Here, ample amounts of salmon eagerly push their way upstream to reach the spawning grounds of the volcanic island’s many rivetingly beautiful rivers. One of the best salmon rivers in all of Iceland is the Vididalsá River in the north-western corner – a salmon river that Rasmus Ovesen has fallen in love with. I often see a lot of info on cool casting techniques, fly lines, tackle and tactics. I feel that very often the “end part” of all this is overlooked. Or sometimes the surface is just skimmed with remarks like “…and then I tie on a short tippet.” or “I use a polyleader with a fairly long fluorocarbon tippet”. But what exactly is a short tippet? How short is short? Or do you taper your nylon leader, if you’re using a polyleader? What if you are using a heavy sinking line and want to keep the front part short, so that it sinks quickly – do you add a sinking polyleader to it or just tie on a nylon tippet? And so on. 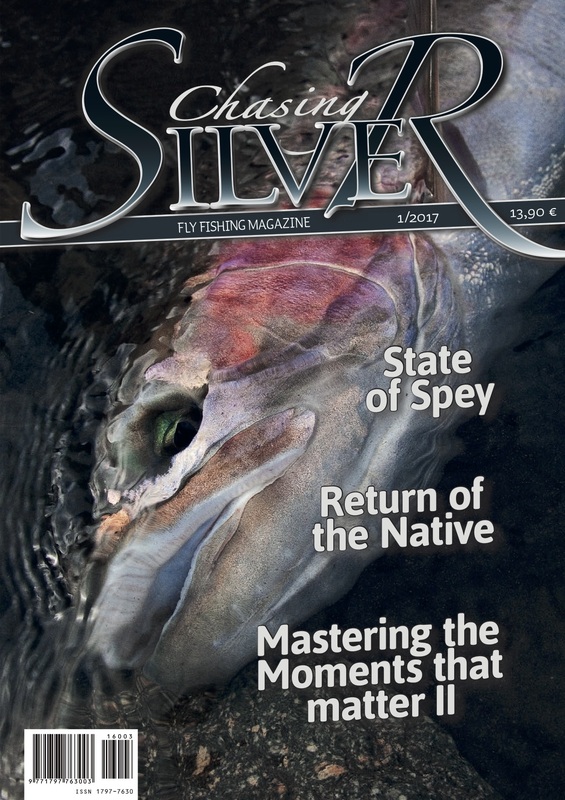 In this article I intend to dive deeper into the matter, and therefore will primarily provide information targeted at the novice or less experienced fly fisher. Veterans may still pick up a few points. No…it is not an Amy Winehouse song I’m talking about, although I really like her music. My story is different and, unlike the lyrics in her song, my approach to black is always good for some happy endings, especially on the sea trout and salmon front. “The Labrador Peninsula is less known than the interior of Africa or the wastes of Liberia.” This is how explorer A. S. Packard described the knowledge of Labrador at the end of the nineteenth century. Now many years later Labrador is still rather unknown to most people. I have even met several people who didn’t really know exactly where it is located. This is probably why Labrador is one of the world’s true and last great frontiers. Labrador is the mainland portion of the eastern Canadian province of Newfoundland and Labrador. For me however, it is easiest to think of it as a single country.